Liverpool manager Brendan Rogers has been under the cosh recently and probably the last thing he needed was Paddy Power wading into the debate about his future – but that’s life these days. 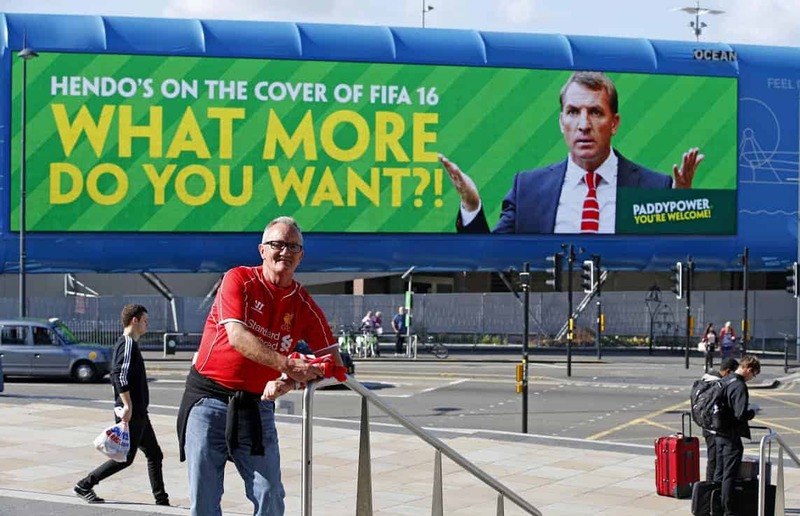 One doubts that Rogers travels to work via Liverpool’s Lime Street station but, had he done so on Saturday, he would have noticed a bloody great poster from PP and agency Lucky Generals suggesting that the closest Liverpool would come to glory this season would be player Jordan Henderson’s appearance in the latest FIFA video game. Rogers’ team did triumph actually, albeit narrowly 3-2 over low-flying Aston Villa. I’m not entirely sure about this stuff. What if Rogers gets the sack, as he might? Would Lucky Generals or Paddy Powers’ newly-appointed ‘mischief’ agency We Are Pi be pressed into service? Anyway, isn’t all PP’s advertising mischief?